Can you survive the Jr. Survivor Obstacle? Race and squeeze your way through obstacles to the finish. 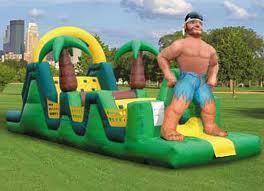 This is an eye catching inflatable, that works great for any event.